Pretty in pink . . . for a “pink” friend! One of my dearest friends just LOVES pink! (another hates it!! LOL!) . . . . so I always love making special “pink things” for her. She gave me something really spectacular (which you’ll see when I get a picture taken!) . .. and I wanted a “worthy” thank you card for her. This is pink, pink, and MORE pink . 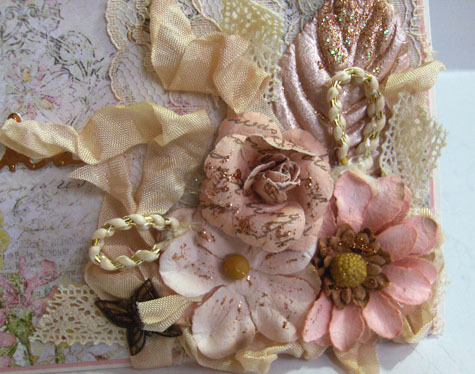 . . with lots of gorgeous Prima flowers and bling . 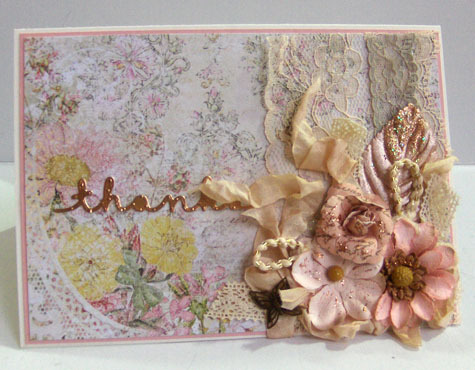 .. on some beautiful new cardstock (I think it was from Prima, too) . .. . . and she loved it! What could possibly be more FUN than that!!?? Sooooo much fun to bring smiles to faces you love!